Bristol’s Architecture Centre, on the waterfront quay by the Arnolfini, is currently showing Desire Lines: Romance and Rationalism in Bridge Design until Sunday 16 November. 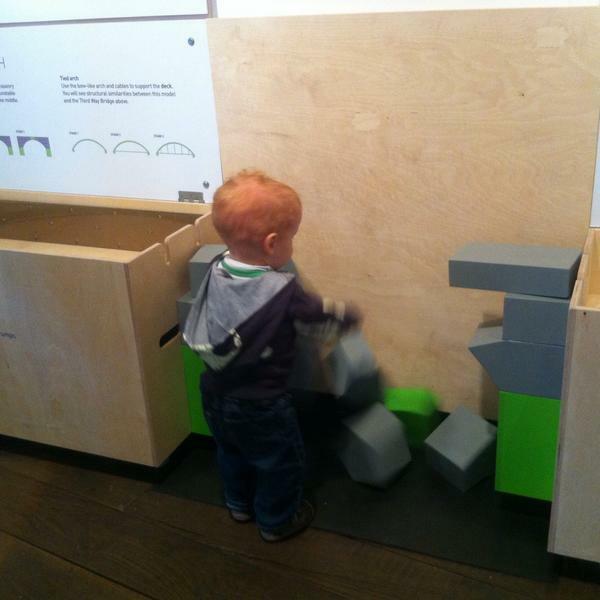 The Centre gave us the brief to create a set of educational models with which visitors – especially children – could interact and experiment with types of bridge design. 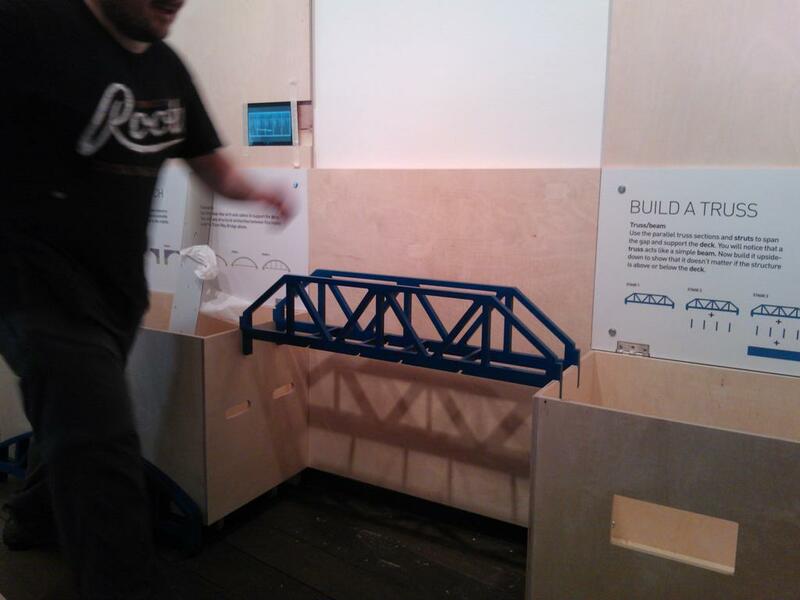 So, the exhibition features three bridge building kits, designed and constructed here in Amalgam’s workshop. The aim is to inspire visitors with the diversity of bridge building techniques, as well as provide an historical background as part of Bristol’s Bridge 150 celebrations. Unique to this display, the Architecture Centre and Amalgam devised a set of top trumps cards – to add a fun and memorable element into the exhibition display – as well as offering a bridge drawing competition for the junior visitors. 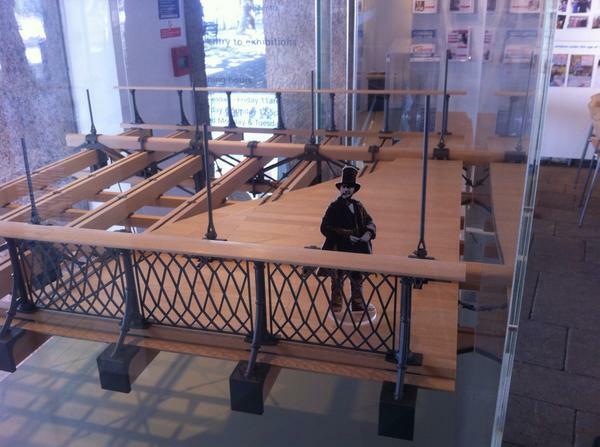 Also on show, back in Bristol after several years away is our sectional model of the Clifton Suspension Bridge. Not an educational model in itself but built from original plans to show how Brunel originally planned the construction to work rather than as it turned out. A case study of the project is available on our website here. Simultaneously, the M-Shed is now showing a war time exhibition, Moved By Conflict. Running in conjunction with this, is a display about the White City built for Bristol’s International Exhibition which opened in summer of 1914. It closed because the First World War broke out and was taken over as a barracks for the soldiers. On Saturday 8 November, author Clive Burlton is presenting the story of how he uncovered the ‘White City’. The scale architectural model of the White City, again built by Amalgam, enhances the educational experience for visitors, so they can visualise how it would have appeared in the Ashton Meadows area of the city. 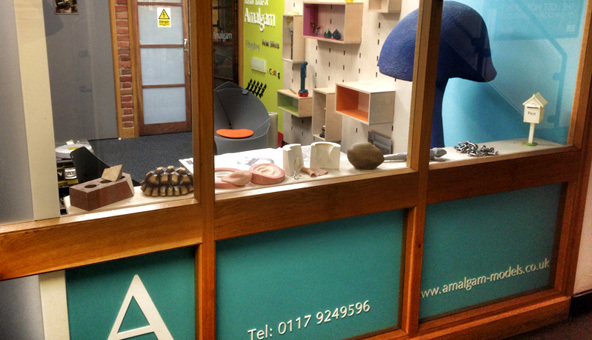 When producing educational models like these, Amalgam gets involved in the early stages of planning the whole display, so that the requirements are met on time and within budget. 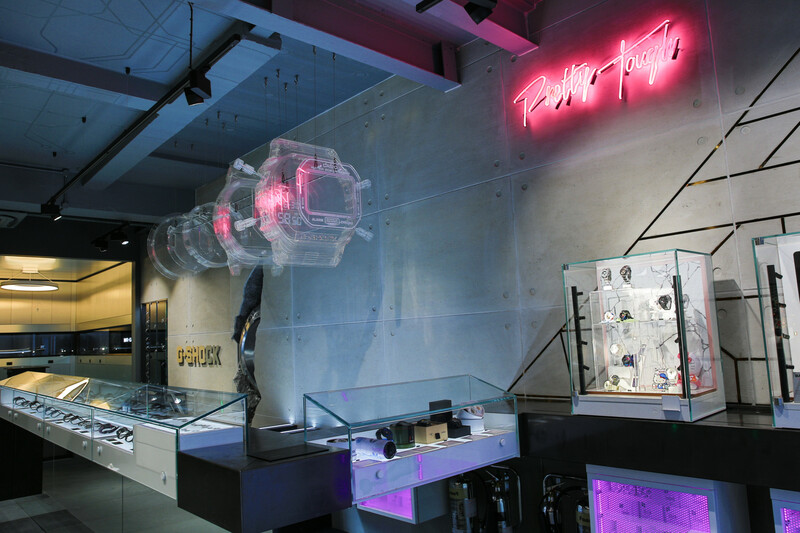 Whether it’s a model for training purposes or for an exhibition, we always aim for the wow factor by perfecting the finish of the model to work with the graphics and complement the overall objectives of the display. For more examples, view our work.